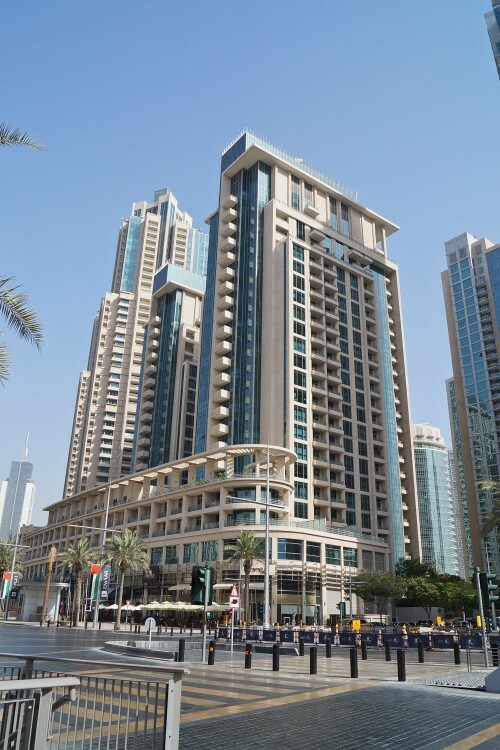 Boulevard Central towers are located directly on Mohammed Bin Rashid Boulevard in Downtown Dubai and are in close proximity to Burj Khalifa. The towers were originally called Centro Towers but the name was changed to Boulevard Central part-way through construction. Boulevard Central has several podium level amenities including a swimming pool with changing rooms, children’s pool, landscaped pool deck and a fully equipped gymnasium and a barbecue area. Twenty-four hour security and maintenance support are standard. Boulevard Central 1 is a 24-storey tower featuring studios, one-, two- and three-bedroom apartments with two basement parking levels. 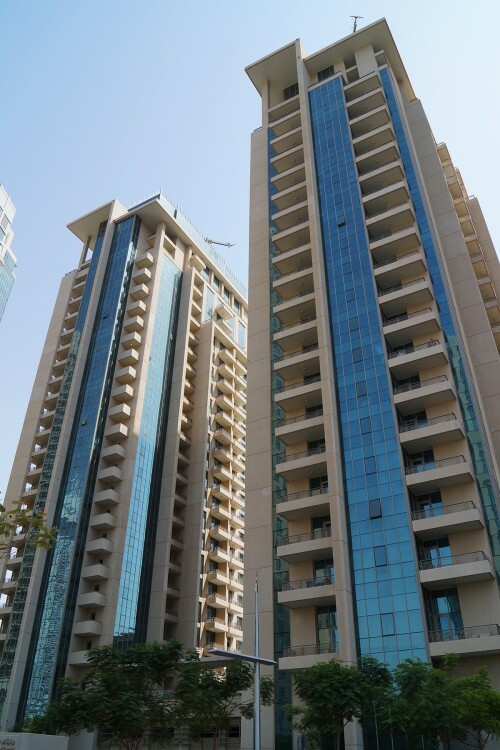 Apartments are spacious ranging in size form 335 to 1400 sq ft.
Boulevard Central 2 is a 22-storey tower featuring studios, one-, two- and three-bedroom apartments with two basement parking levels. Apartments are spacious ranging in size form 335 to 1400 sq ft. There are retail outlets on the ground floor and offices on the mezzanine levels. One-click links to properties currently on the market in Boulevard Central. Boulevard Central reveives an overall rating of 2.5 based on 5 reviews. Users were asked to consider many factors including the view, finishing, layout, noise levels, traffic, public transportation, parking, security, swimming pool, gym, and maintennance.